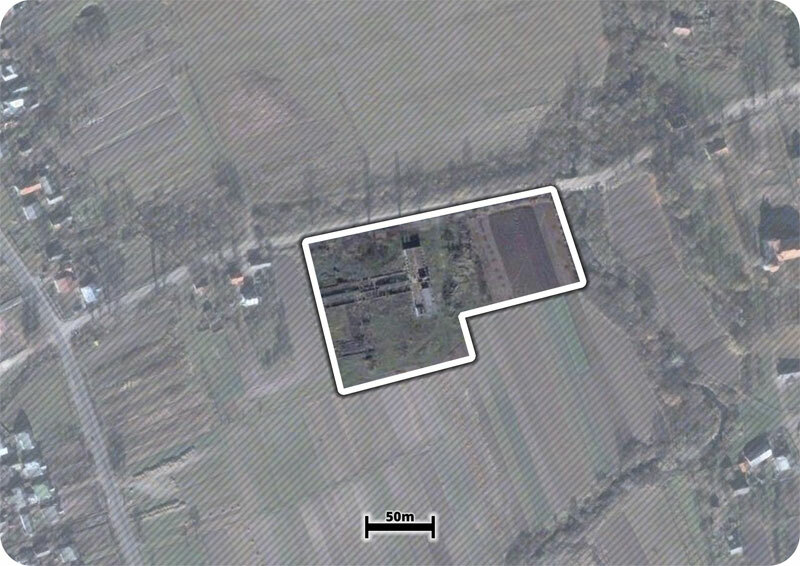 Location of investment site Lviv region, Mostyska district, Mostyska, 4b Shashkevycha street. Property registration number: 34029889. Land specification The relief is flat. Premises (buildings) on site if any Investment type: brownfield. There is a non-residential building (a school) on the site, 35% of readiness. Ownership Communal property of the territorial community of Mostyska. The site can be transferred to the possession of an investor with the consent of the town council on the land sale through biding (auction). Zoning outlined in master plan (priority usage of the territory) Communal warehousing areas. access to gas network – 400 m.
Telecommunications infrastructure Is possible to provide an access to telecommunication network. Transport links to investment site The distance to an access road is 20 m, distance to a motor road is 1 500 m, distance to the airport is 70 km, distance to a railway line is 1 500 m.
Limits in territory development if any Non-industrial use. Terms of investment site transfer in operation Auction (bidding) sale, leasing on condition of enterprise or business registration on the territory of the town. Estimated value of investment territory The calculation is not carried out.